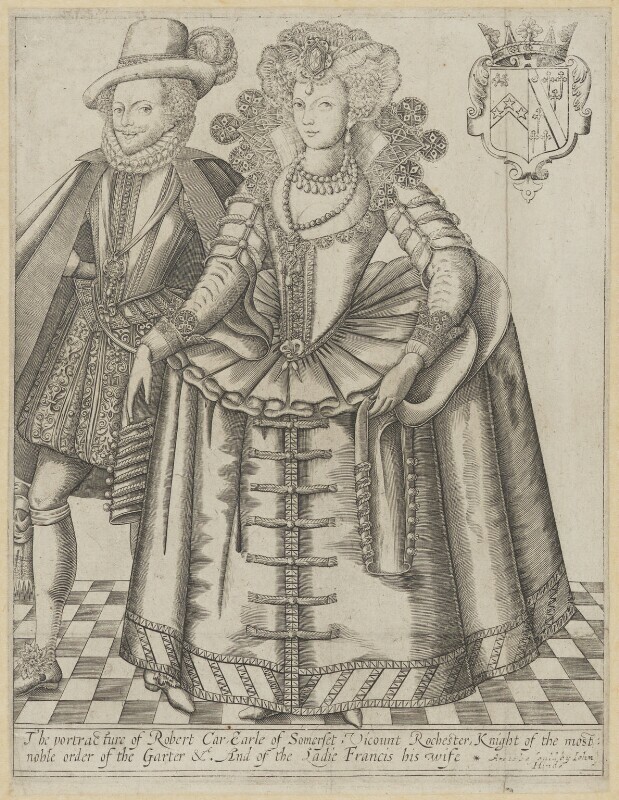 This double portrait of Robert Carr, Earl of Somerset, a favourite of James I, and his new wife Frances was probably produced around 1615 when they were being interrogated over the murder of the courtier Sir Thomas Overbury who had opposed their marriage. Frances was vilified in the press and they were charged the following year. They spent over five years in the Tower of London but were spared execution and later pardoned. The portrait was still in print over thirty years later.